When opportunity knocks, sometimes you have to move very quickly to answer it. 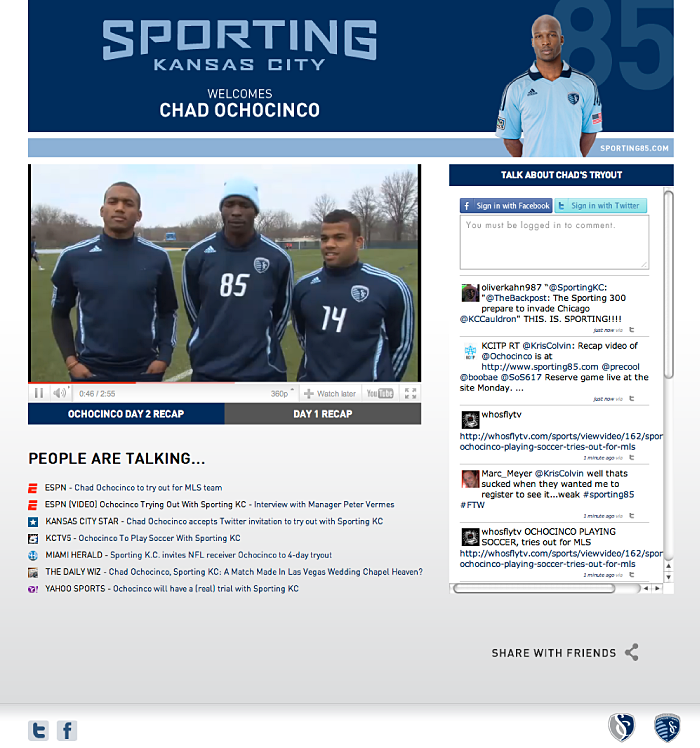 Having recently built an aggregated, rich-media landing page for Sporting Kansas City’s LIVESTRONG Sporting Park announcement, we had a model to use when Chad Ochocinco and our friend Kyle Rogers cooked up a scheme for him to come and trial with the team since the NFL had locked him out of the building. We redesigned it and Wirevibe crafted new signup code as the preliminary member signup for what will later be a full-blown member website filled with exclusive content. The first day of the trial was livestreamed from the player’s training facility. 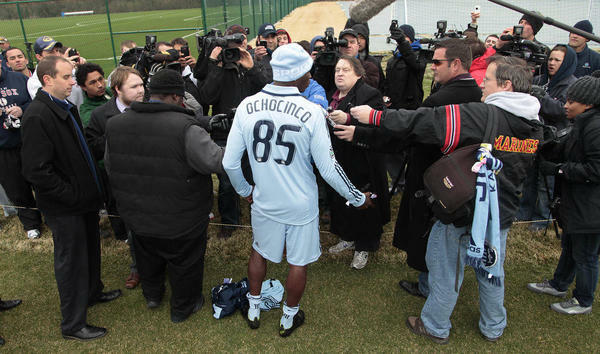 Ochocinco’s trial was extended to include a reserve game, and that is also livestreamed. The days in between we posted recap videos that were recorded. Watch the recap of his first day! We like this layout model a lot as we can aggregate many things on one page without much clutter – we can do this for your online events too!